The 1-3-2-6 system is a gambling strategy that works well on bets which are close to evens chance (i.e. 50/50, like a coin toss) - particularly in Baccarat and Roulette. If you win all four bets, you go back to the start. If you lose any bet, you also go back to the start. So long as you're winning, you progress through this sequence. 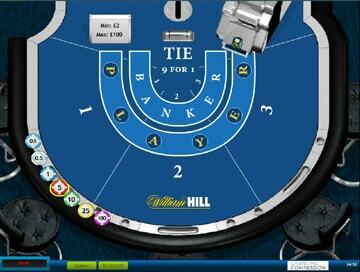 NB the bets relate to a number of units, so if you're betting in £10 units, your bet sequence is 10, 30, 20, 60. If you win all four bets, you go back to the start. If you lose any bet, you go back to the start. 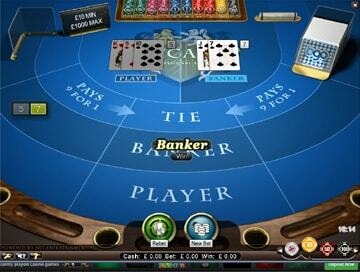 It's another positive progression gambling system - i.e. it reduces the bet on a loss - so like the Paroli it doesn't chase losses and keeps them low in all situations. 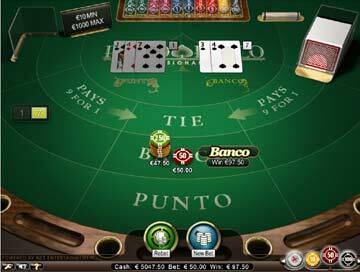 This gambling system works best in games where four consecutive wins happen frequently, but the only risk is in losing the first or second bet. If you win the first two bets, you can't lose. If the second loses, your loss is 2 units. If the third loses, you still make a profit of 2 units. If the fourth loses, you break even. If the fourth wins, your overall profit is 12 units. Many Baccarat / Punto Banco strategy sites will recommend the 1-3-2-6 as the gambling system to use. This doesn't take into account the vigorish for the banker bet. These sites say that a losing fourth bet leaves you even. It doesn't. A losing fourth bet results in a loss of 0.3 units. The 1-3-2-6 as described in those sites can only used with the Player bet, where there is no vigorish, but the odds are less than Evens. 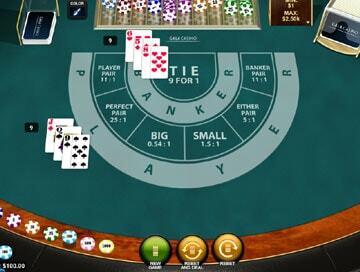 If you want a good system for use in Baccarat, we recommend the 1-3-2-4 system . 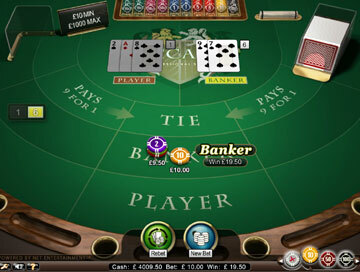 In the correct gaming conditions, you risk a little in order to win a lot. Even in the worst case i.e. 6 second bet losses, you'd only lose 12 units, which could win back by completing the sequence just once. The table below shows how the 1326 fared in our systems tests. These test results show that this system never results in huge losses and works really well for short winning streaks. In our opinion, the one downfall of this gambling system lies in the last bet - it's relatively easy to build a profit of 6 units with little risk (bet 3 gives an overall profit even if it loses) so why risk it all on one bet? We think that some of that 6 unit profit should be safeguarded. 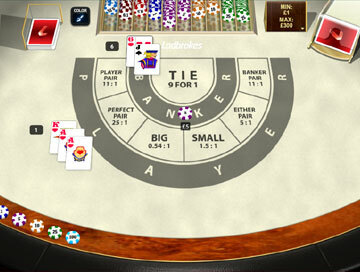 This led us to develop the 1-3-2-4 gambling system - a more moderate version of the 1-3-2-6. This is a simple system to operate and we recommend it for low-risk gamblers. It is one of our preferred gambling systems for the Big/Small bets in Sic Bo - see Sic Bo winning strategy for explanation. 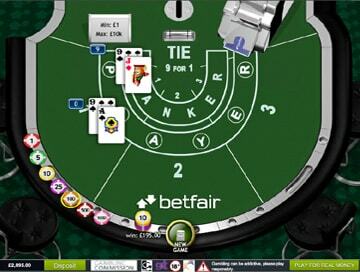 As explained above, we don't recommend the 1-3-2-6 for Baccarat (though many do!) - we prefer the 1-3-2-4. If you're a high roller, looking to fully test the 1-3-2-6 system on either Baccarat or Roulette, the best experience is to be found at one of our Live Casinos. 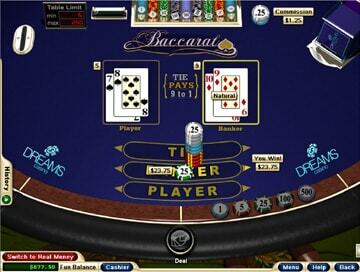 Play the 1-3-2-6 on Live Baccarat or Live Roulette now!